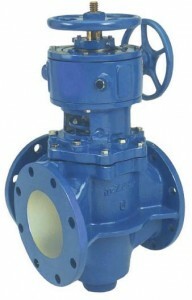 DeZURIK 3-Way Tapered Plug Valves are designed for throttling and diverting applications. Single- and double-tapered plug styles can be arranged into a variety of flow combinations. Heavy duty stainless steel bearings, long-life stem seal, resilient plug facings for dead-tight shutoff, and metal plugs for high temperature applications. 3-Way Tapered Plug Valves are designed to handle clean and dirty, viscous and corrosive liquids, sludge, abrasive and fibrous slurries, and clean and dirty corrosive gases.